More than 40 globally-renowned digital experts will discuss the latest trends and technologies in Web and mobile, as well as the potential for digital enterprises in the Egyptian market at an upcoming conference in Cairo. ArabNet Cairo 2011, which will showcase promising digital ideas and startups in the region, will be held on October 19 and 20 at the Smart Village. Held under the patronage of Dr Mohamad Salem, Minister of Communications and Information Technology, and in collaboration with The Technology Innovation and Entrepreneurship Center (TIEC), the conference will directly address the current Egyptian issues, specifically the role of social entrepreneurship in building a new social, economic and political environment. The conference will cater to a wide range of interests, from those looking to learn about investing in Web and mobile, to e-commerce, social commerce and loyalty, digital marketing and advertising, social media, location-based services, mobile apps, gaming, and more. Omar Christidis, founder of ArabNet, said: "The conference will not only explore the latest developments in web and mobile as perceived by people on the cutting-edge of their fields, but it will look at the interplay of digital tools and technologies and economic and social development, with an emphasis on the case of Egypt, making it a very timely event." ArabNet Cairo 2011 is expected to draw an audience of over 600 global players and entrepreneurs in the digital field. The conference will greatly help to build the desired links between Egyptian innovators and foreign venture capital in the IT sector, which will strengthen the Egyptian economy. Christidis added: "ArabNet Cairo will bring together all those who work in different areas in the digital field, from e-commerce to digital advertising. It presents a unique opportunity to connect with global leaders, creating new work opportunities." The conference has been generously supported by a number of high-profile community, supporting, association, entrepreneur, and event-ticketing partners, as well as prestigious sponsors, including OT Ventures (Linkonline) as Platinum Sponsor for the event. The conference will hold Ideathon and Startup Demo competitions, which are pitch sessions that invite entrepreneurs with the top 10 digital ideas, and top 10 startups in the region respectively, to showcase their projects before the audience of the conference. These pitch sessions present a rare chance for Arab entrepreneurs to highlight their potential and to attract the funding and mentorship they need to launch their projects. ArabNet Cairo has received over 300 applications for the Ideathon and Startup Demo competitions, a statement said. With over 25 million internet users, the highest number in the region, close to 75 million mobile subscribers, and almost 8.5 million on Facebook, Egypt presents itself as a formidable market and ideal host for ArabNet Cairo 2011, it added. 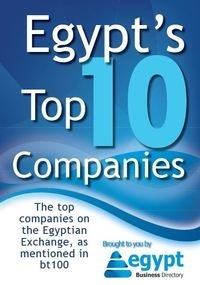 "Anyone who is in the Web and mobile industry cannot ignore the Egyptian market," said Christidis. "The ArabNet Cairo conference will bring together all those involved in the sector in Egypt, presenting the most effective access point to the market."